You may have come to this page looking for my recent Radio 4 docupoem, Slow Machine. You can hear it by clicking here – but only until mid-July! 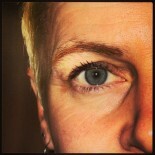 My poem Doggerland has been recorded by actor Maxine Peake. This poem and others commissioned by the Poet Laureate Carol Ann Duffy were recorded by actors including Jeremy Irons and Tamsin Greig, ahead of a UN conference on climate change. Find them all here. I was the first Canal Laureate for England and Wales, appointed by the Poetry Society. Listen here for a poem about life in a boatyard, recorded in one. For a conversation between me and short fiction writer/ poet Tania Hershman, interviewed by Rob Cutforth, listen here – the real talk about writing begins from around 25 minutes in. For a full 20-minute set of poems from me, here’s a very clear recording from Ledbury Festival 2015. Look at Event number 2 on Friday 3rd July to hear me, Chris McCabe and George Szirtes (if you only want me, fast forward to about 20 minutes in). Music-and-voice duo Joyrig recorded my poem Frozen In, with music by Suzanne McLeod. Here’s a sequence of poems written for the Royal Derby Hospital, Waiting: A corona for Royal Derby Hospital. You can also see them on the page as Waiting – Seven Poems for the Royal Derby Hospital with artwork by Diana Shepherd. My show Riverlands, written and performed (left) with storyteller Jo Blake Cave, has been recorded. You can hear the WHOLE hour-long show, with watery sound effects and our voices here. 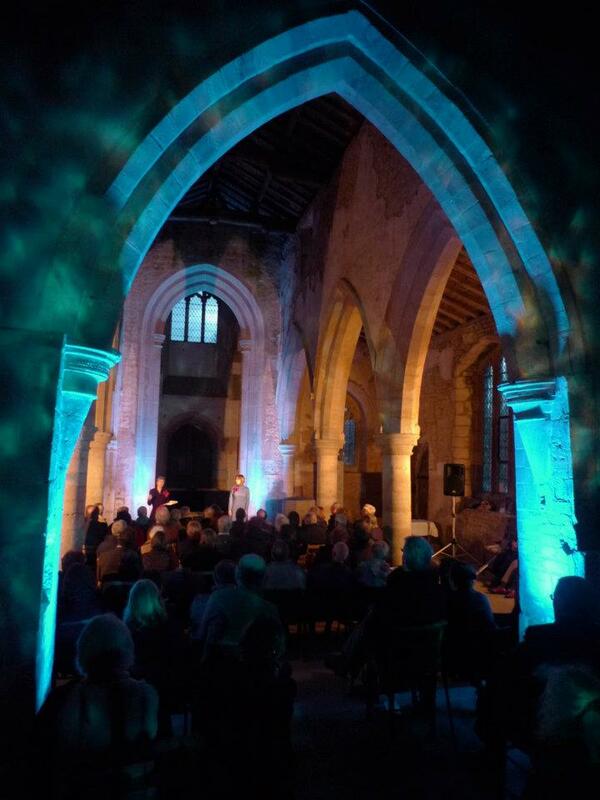 We performed it in July 2015 at the Oundle Festival, and in this deconsecrated church near the river Nene at Wadenhoe. Given and Received is a wedding poem, here by special request. Blessing for Molly was written for a christening and you’re welcome to use either one so long as you a) include my name and b) don’t centre it on the page: keep the left hand margin please!